Filipino cuisine, just like any other, is one-of-a-kind. Our food can get spicy, sweet, sour, and salty. Name it – we have it and we can cook it for you. Before we go down with the simple Filipino dishes you can try at home (if you are a foreigner interested in cooking easy Filipino recipes), make sure you got some stock of condiments particularly fish sauce and soy sauce. We just love using them! And check if your gas is still enough to do the cooking as you might be hooked on doing a lot of Filipino food. Contact your most trusted LPG supplier to get your fuel source refilled. 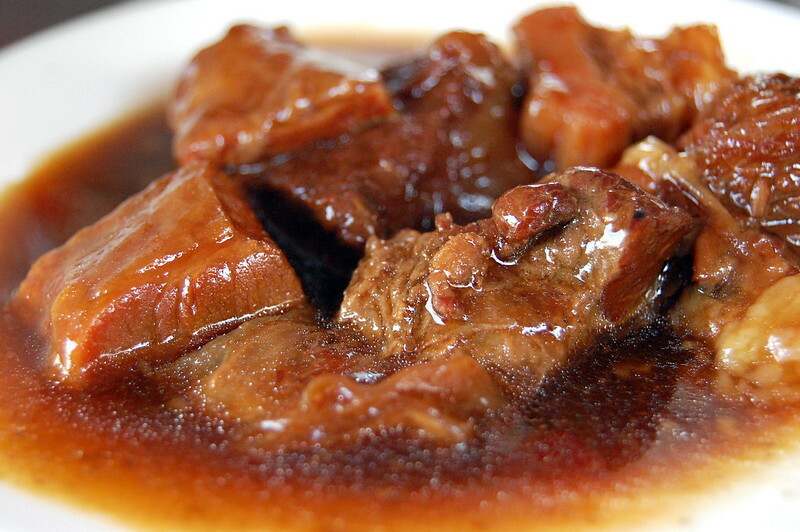 The classic adobo! You often hear Pinoys saying to their foreigner friends and colleagues that they should taste this dish. Perhaps it is because of the different mix of salty and sweet, with a hint of sour, which Pinoys love. Pour in the soy sauce, vinegar, water, and garlic. Remember not to mix your sauce yet as you just added vinegar. There is a tendency that your vinegar will taste awkwardly strong if you mix immediately. Cover the pot and let it bubble for a few minutes. Make sure you won’t be adding a mix of blood and water together with your meat. Gently put the meat of your choice in the pot. Put some pepper to have your food with some spice (you can also add red chili for it to be extra spicy). Leave it around for 30 minutes to 1 hour so your meat will be cooked. It’s okay to check from time to time since the sauce can be dried. But if you like your adobo with less sauce, let it be. You can also add your laurel leaves here. Two or three pieces may do. Check if the meat is already tender. You can add more soy sauce, vinegar or water depending on what you think is lacking. Add sugar if you want your adobo to have a little kick of sweetness. Note that if you add some condiments, give your adobo some time to simmer so your added ingredients will be cooked well. If you see that the meat is perfectly tender, add the hard-boiled eggs if there’s any, and turn off the stove. If you’re a fan of sour food, sinigang is your dish. Actually, there are different types of sinigang – sinigang sa bayabas, kamias, kalamansi, etc. but it is more well-known with using tamarind or sampalok. There are readily available sampalok powder mix or broth cubes but using the real fruit is just incredibly yummy. Prepare your tamarind sauce by letting it boil in water. If it’s boiled well, take it out of the water and squeeze the juice out of the tamarind fruit. Make sure you extracted all the juice from the tamarind so you’d get the maximum sour flavor for your sinigang. Get your pot and pour in the water. Add the onion, tomato, and long green chili. Let it boil for a few minutes. You can adjust how much water is needed vis-à-vis your tamarind sauce. Add the shrimp, okra, and white radish. 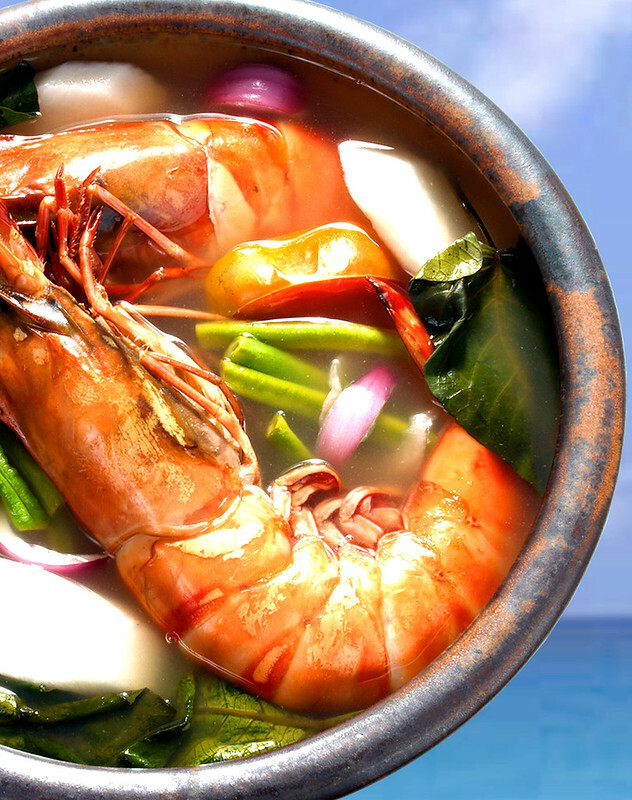 Pour in your extracted tamarind juice so it will be boiled and cooked with your shrimp. You can now also put your Gabi or taro root crop. How does it make your sinigang extra special? Aside from it’s additional to eat, it will make your soup thick and have additional flavor. Let it be for 5 to 10 minutes so your shrimp and vegetables will be cooked. Add some fish sauce as needed. Be careful in adding too much. Taste your mix to see what’s the correct amount of fish sauce to be added. Place the kangkong in if the shrimp is almost cooked already. Your kangkong is the last one to add since its leaves can be easily distorted and you don’t want them to be overcooked. Taste if your sinigang is perfectly sour with a little bit of salty. If all is good, turn off your stove and your sinigang is ready to be served. So which one do you like more? Are you team adobo or team sinigang? Well, why choose if you can have both. Enjoy cooking (and eating)!